Of cause it important that your cake looks fabulous. We firmly believe that a pretty cake should start from inside with a fabulous taste too. Our experience over 25years of cake making for many customers, had high rating for taste. We never settle for second best when it comes to our ingredients. We use only the finest best quality Ingredients for all of our cakes, and made completely from scratch from our studio. With our traditional Victoria sponge or delicious Madeira cakes you have the options to choose our range of yummy fillings. Please note we do not add nuts or alcohol for our sponge cakes unless you request alcohols for our chocolate cakes. With your request we can add your favourite flavours (Coconut, Coffee, Orange, and Lemon, walnut, Carrot and many other) to bring your cake personalised and very special. Whether you choose moist sponge cake or fruit cakes will give you the option to discuss alcoholic or non-alcoholic options. Usually our fruit cakes matured in finest French brandy to add extra spicy aromatic fragrant and flavour. 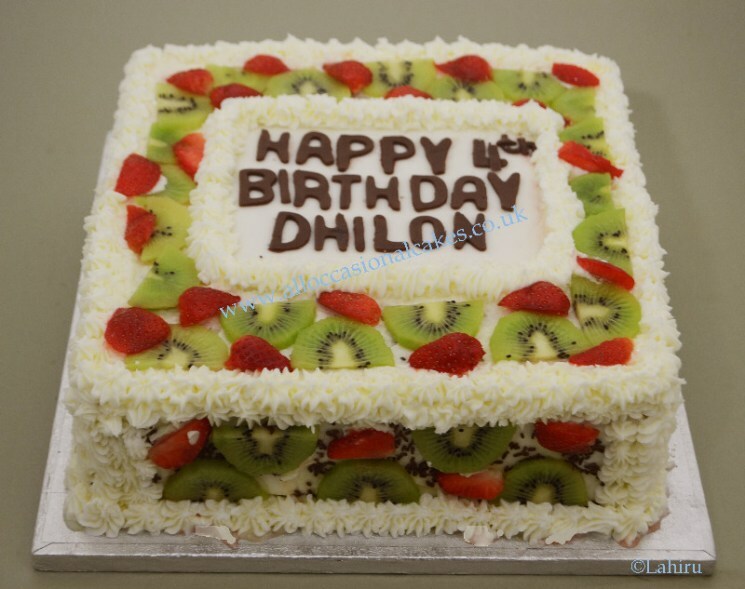 We will ensure your cake is truly mouth-watering beautiful centre piece. We also have non-alcohol fruit cakes option to our customers. Our alcohol-free fruit cakes are drip fed and matured with finest fresh fruit juice and natural honey to make you are not missing anything. For Special Moments to be Memorable..